Directions: From Denver head east on I-70 to Chambers Road. Turn right (south) on Chambers Road and turn left on Smith Road. 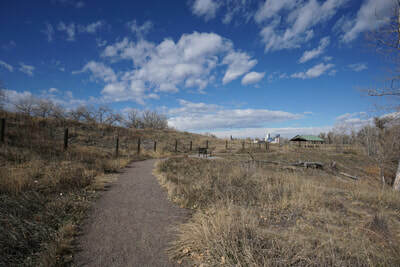 Make a right turn on Laredo Street and enter the Nature Center parking lot. 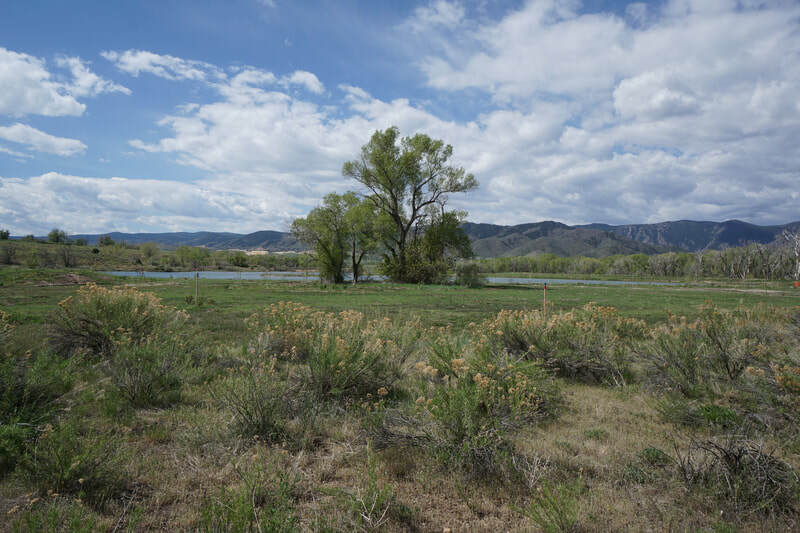 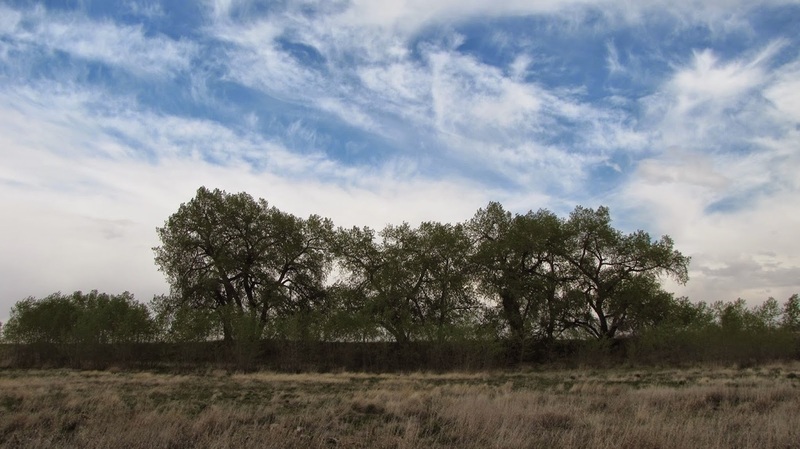 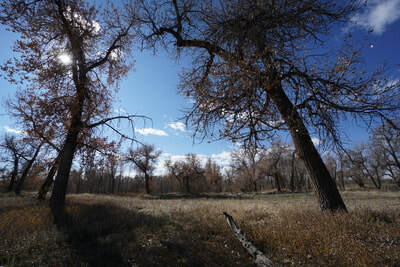 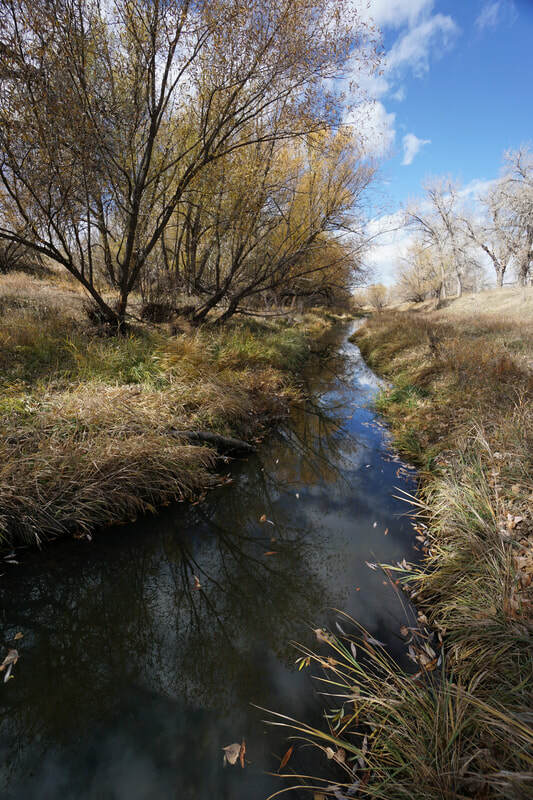 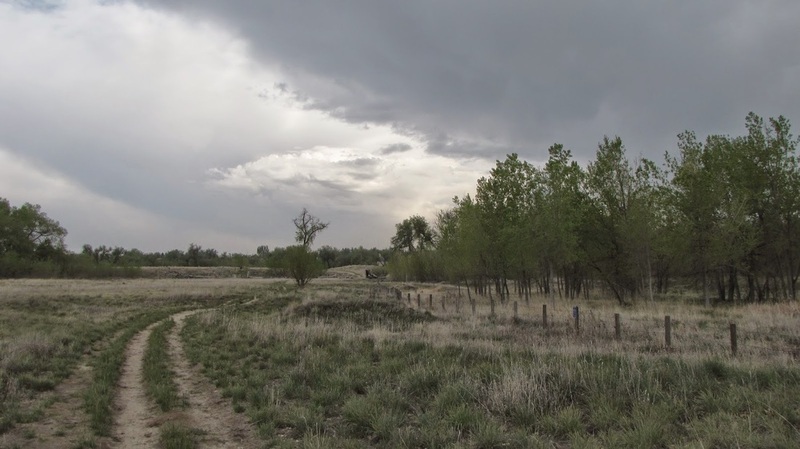 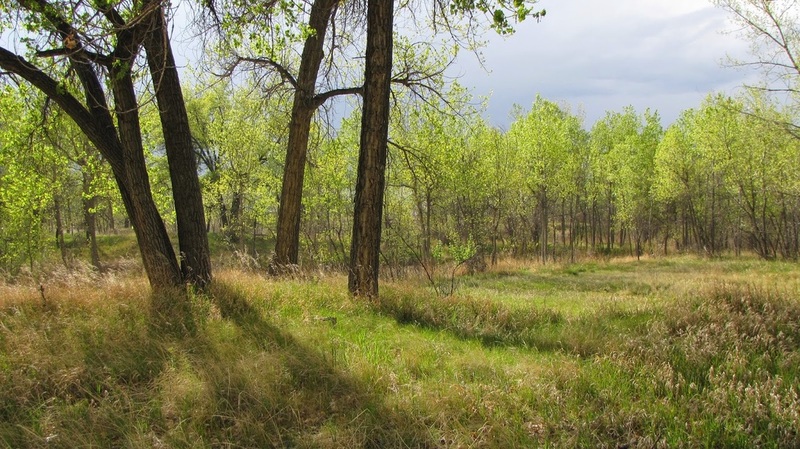 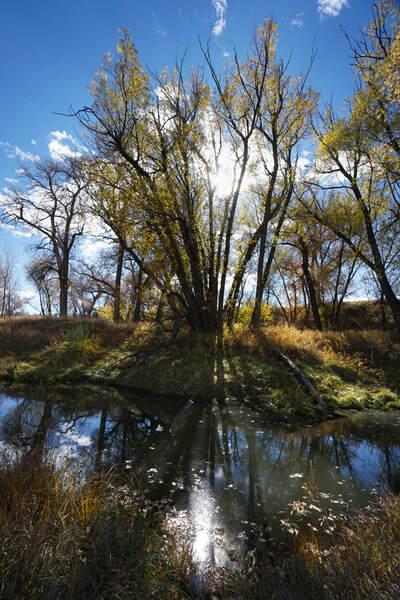 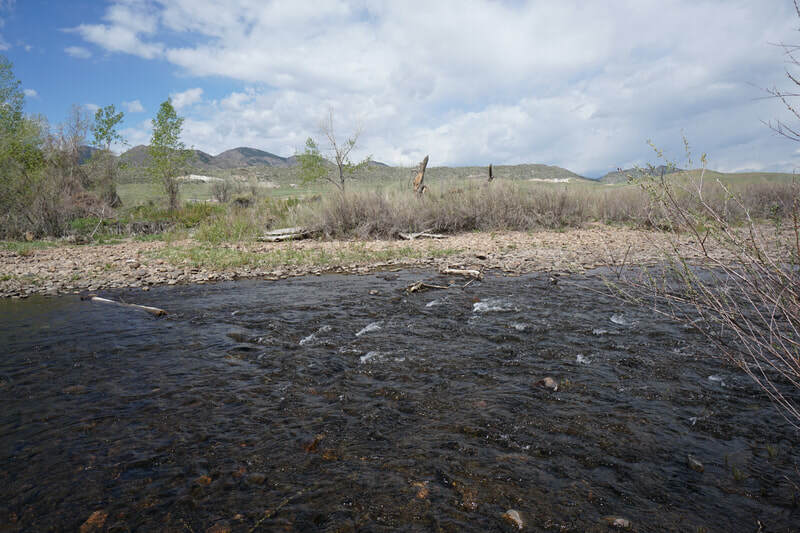 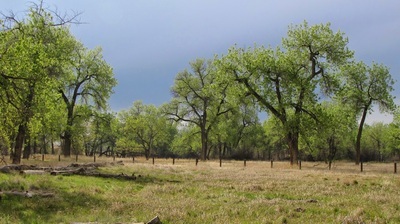 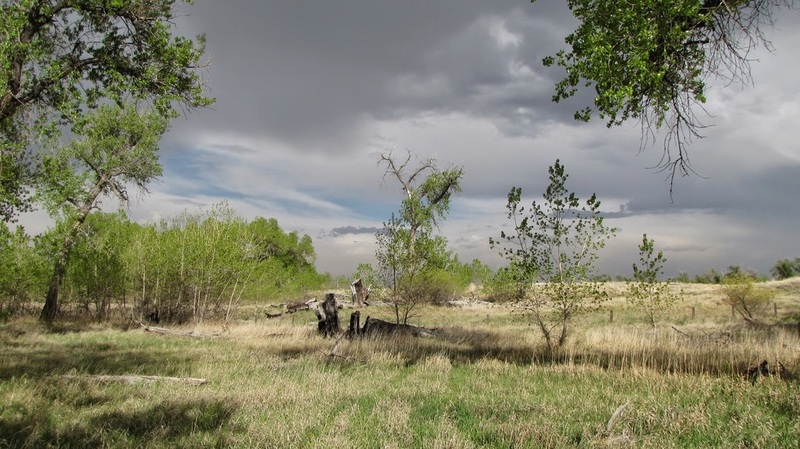 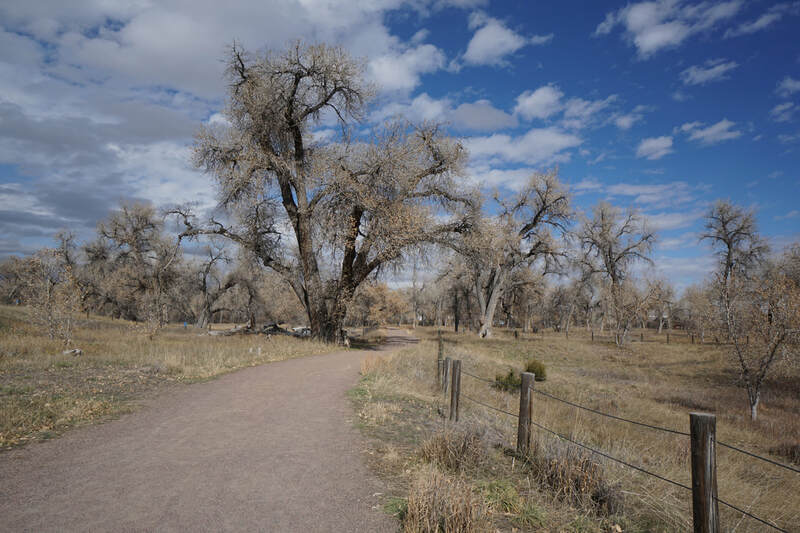 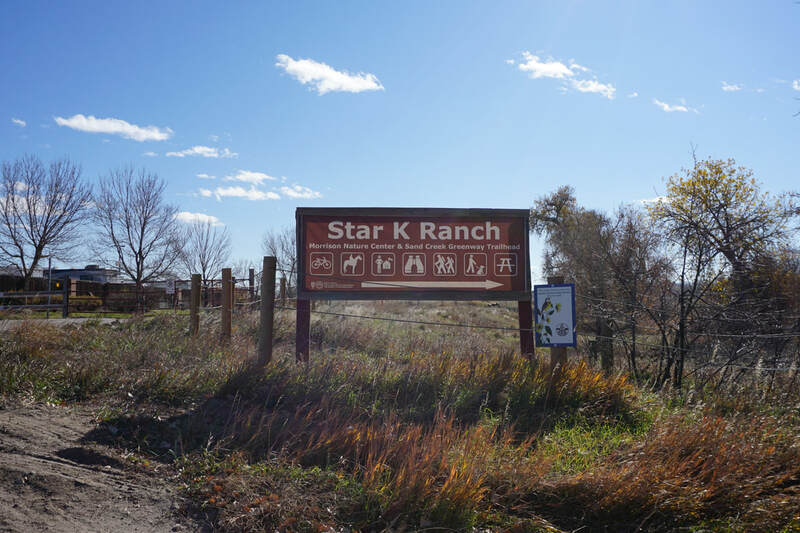 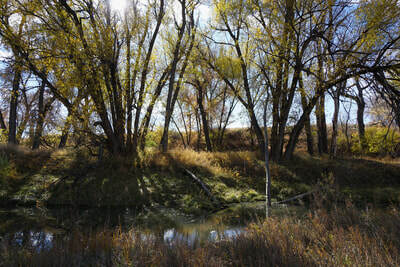 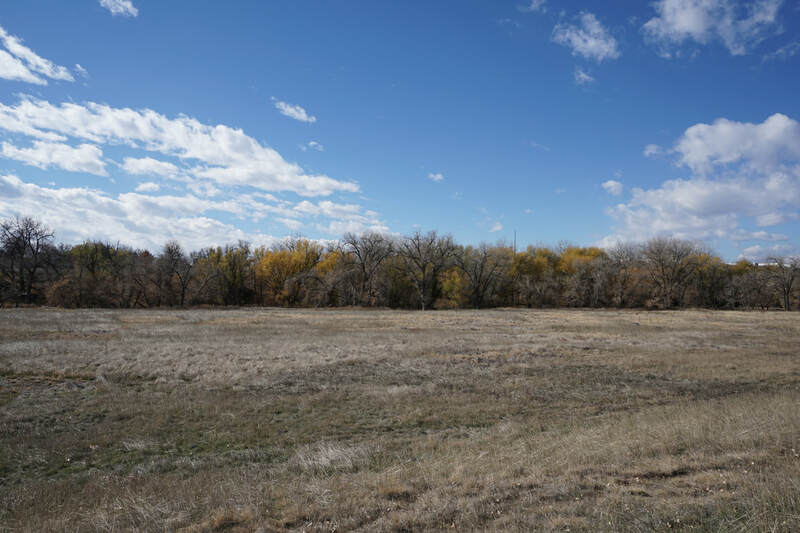 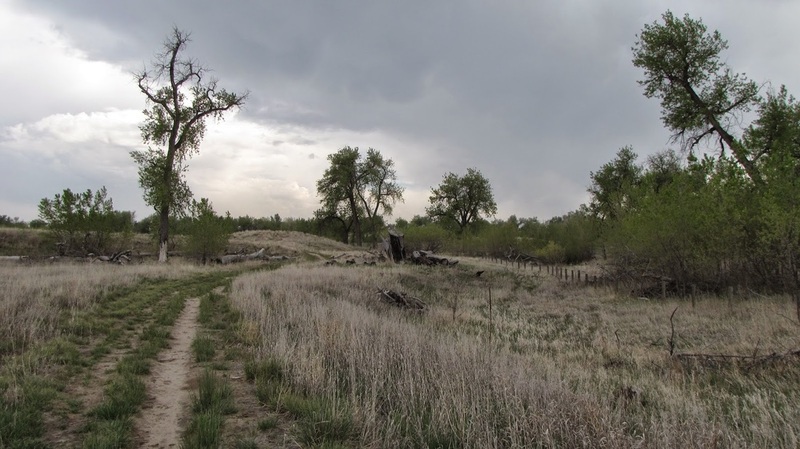 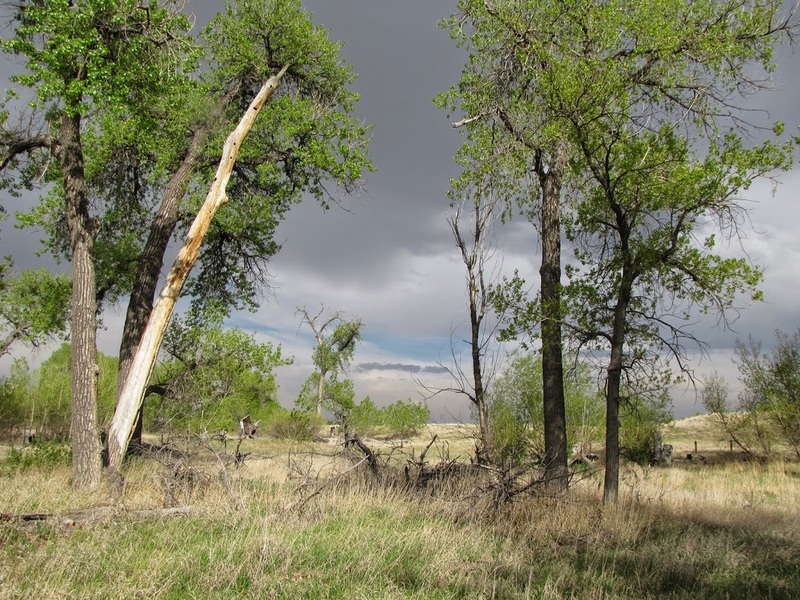 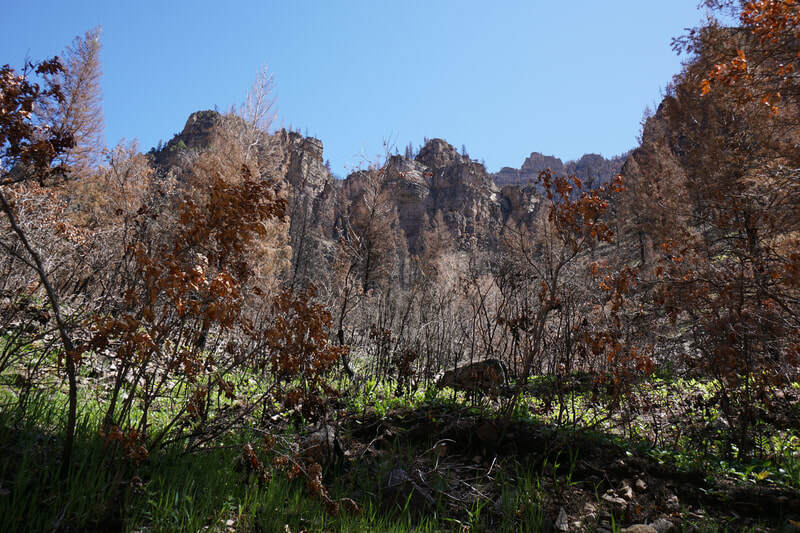 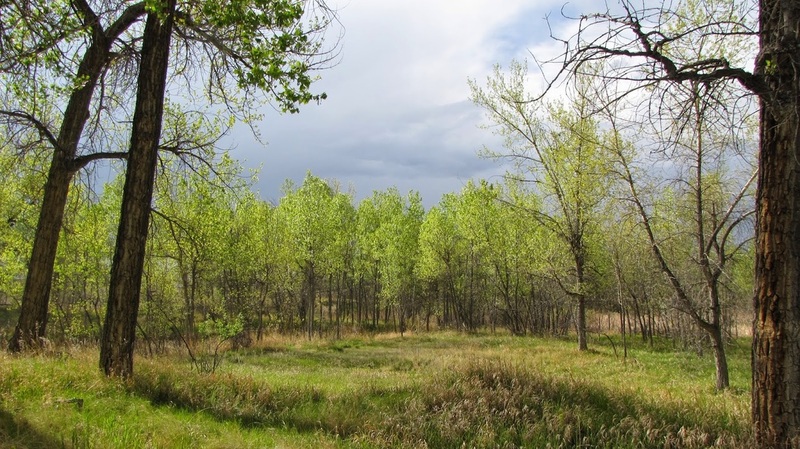 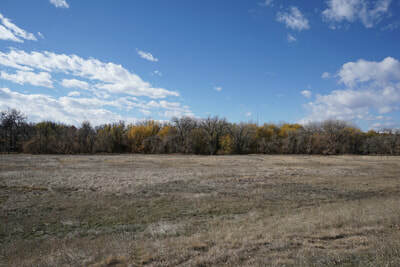 Star K Ranch is truly a hidden gem, it is a beautiful park and if you are looking for a easy hike through wetlands and cottonwood forest, this is a great option. 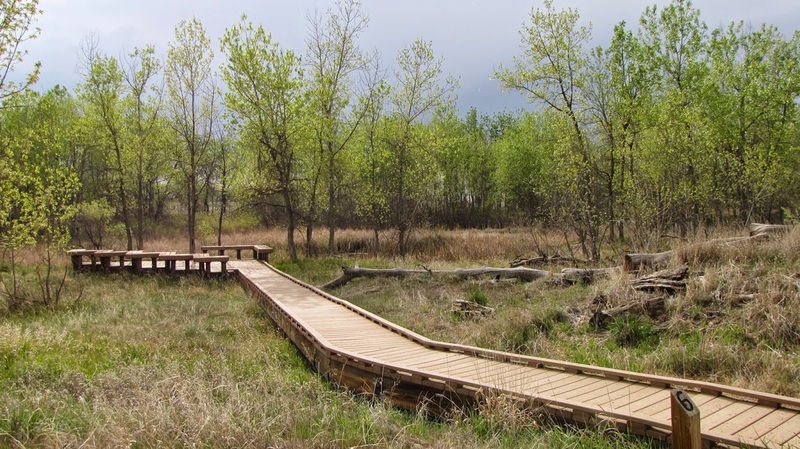 The Morrison Nature Center is also a wonderful resource offering exhibits and educational programs galore. 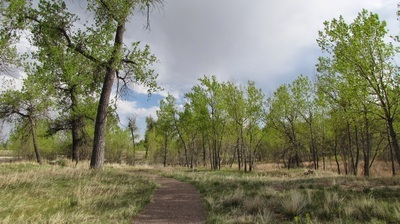 There are basically two trails in the park, the Wetlands Loop and the Creekside Trail, the trails are divided by the hard gravel Sand Creek Greenway Trail. Linking these trails via the Sand Creek Regional Greenway pieces together about 2.5 miles of hiking. 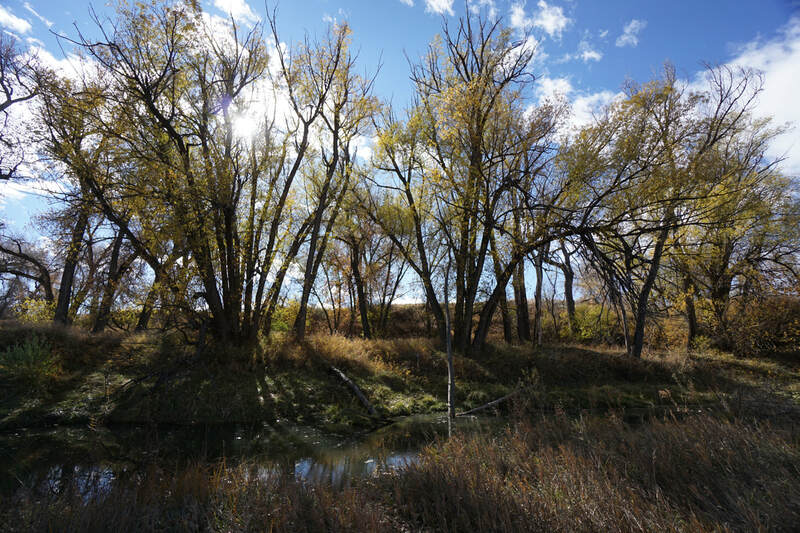 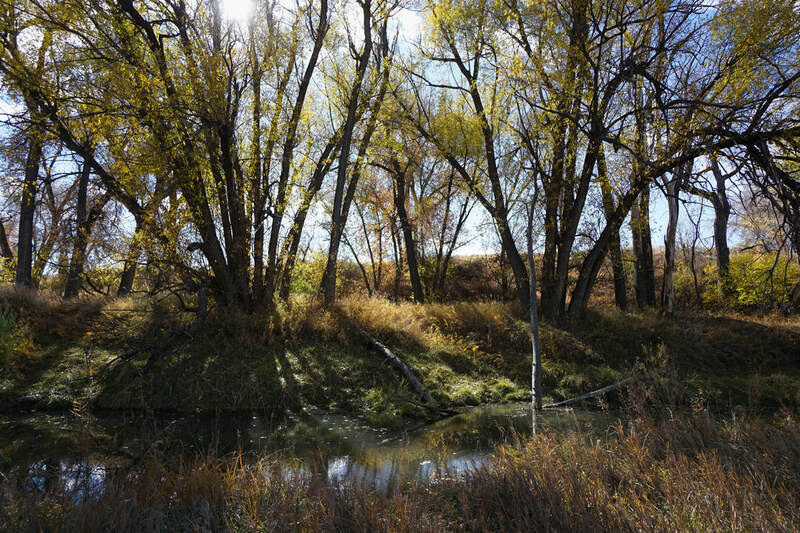 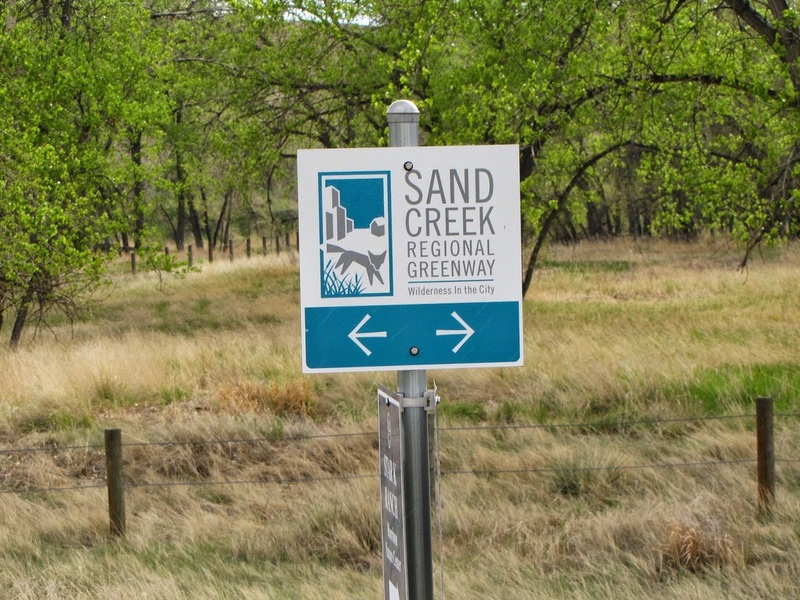 You can hike longer if you wish by hiking east or west along the Sand Creek Greenway. 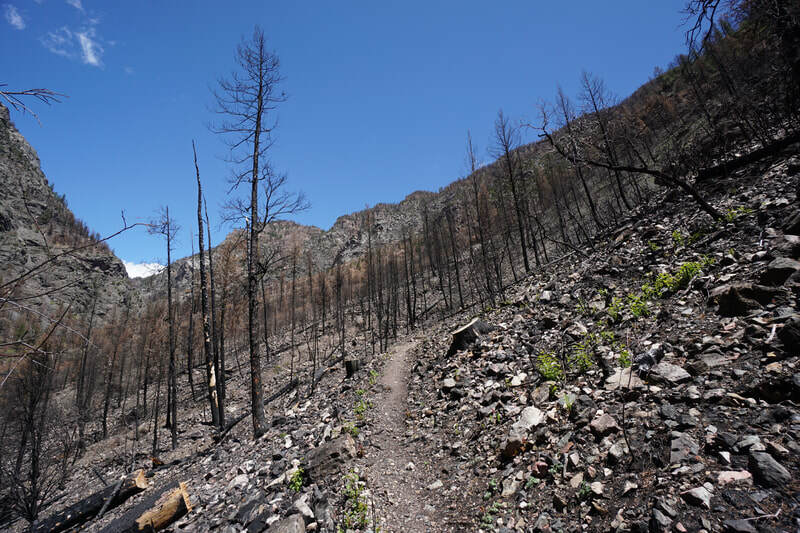 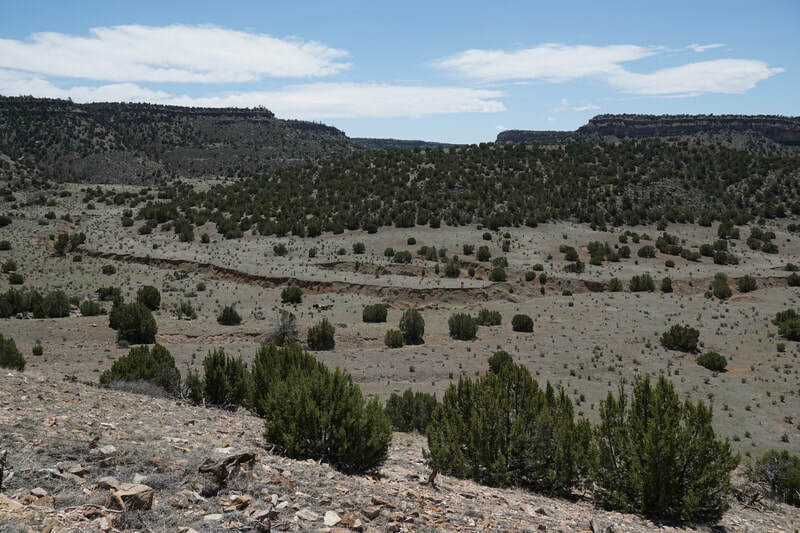 This trail description combines the trails for a pleasant loop around Star K Ranch. 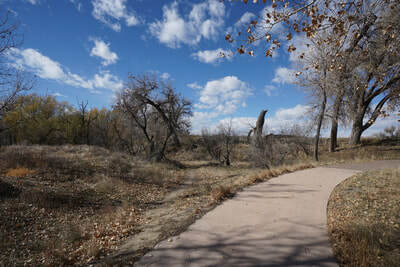 From the parking area find the trail information kiosk and start heading south along the wide trail. 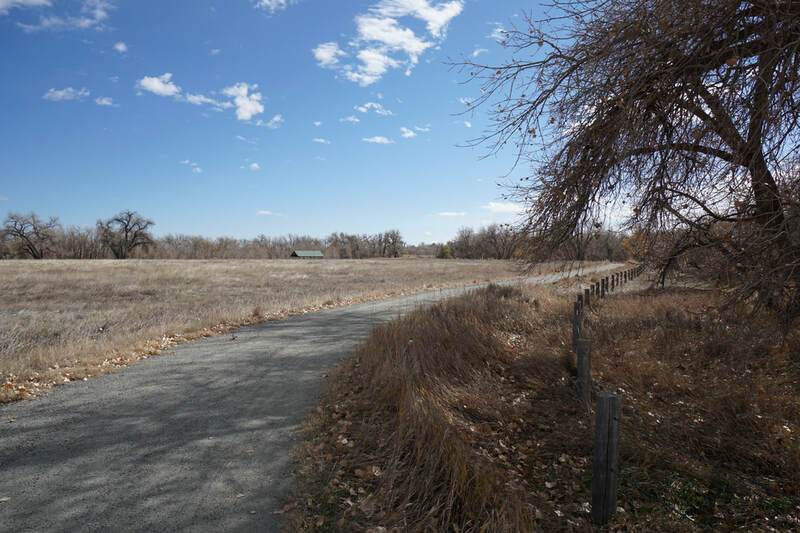 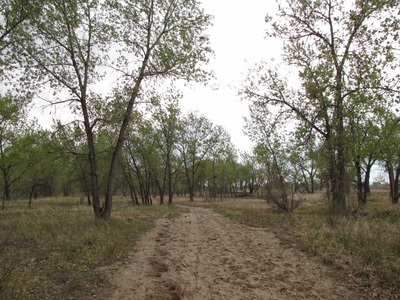 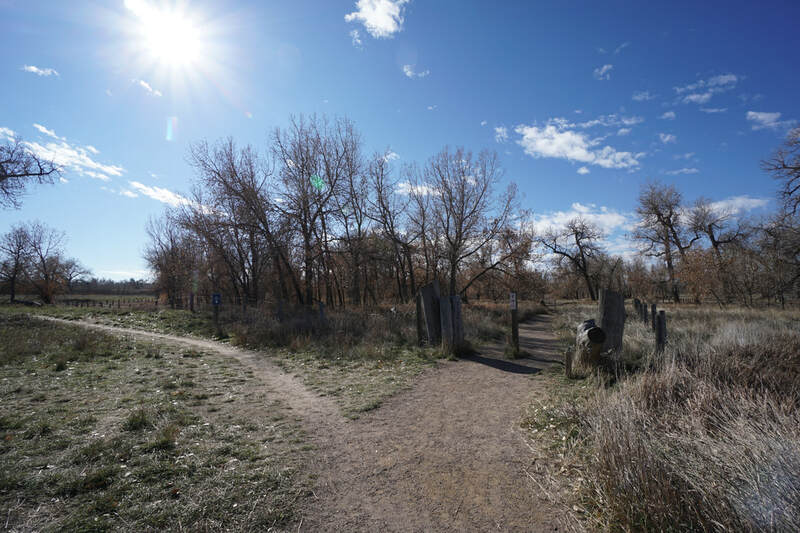 When you reach the fork, head right and enter the Wetlands Loop area, taking the trail to the left will bypass the wetlands and take you straight to the Sand Creek Greenway. 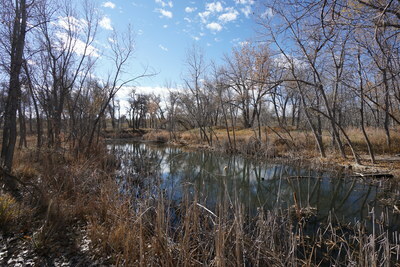 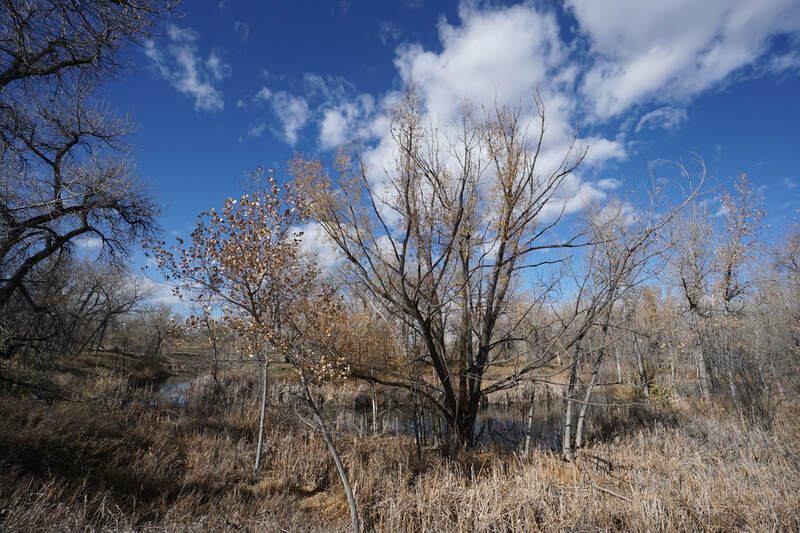 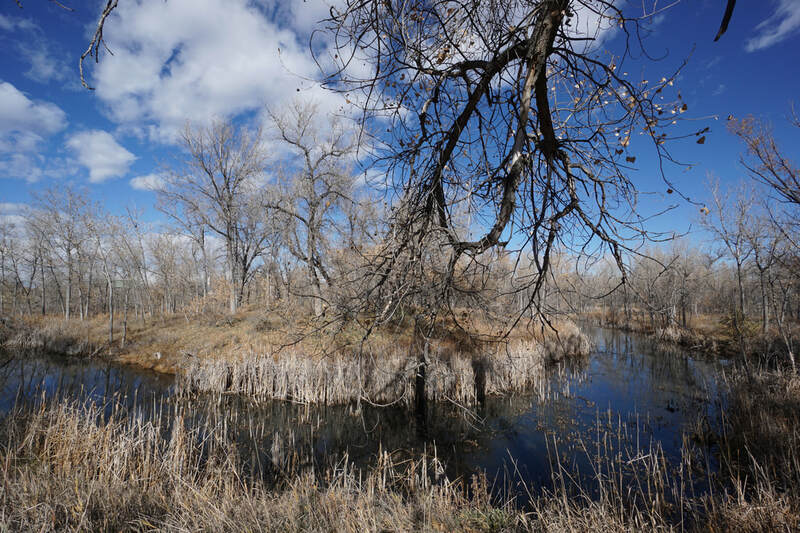 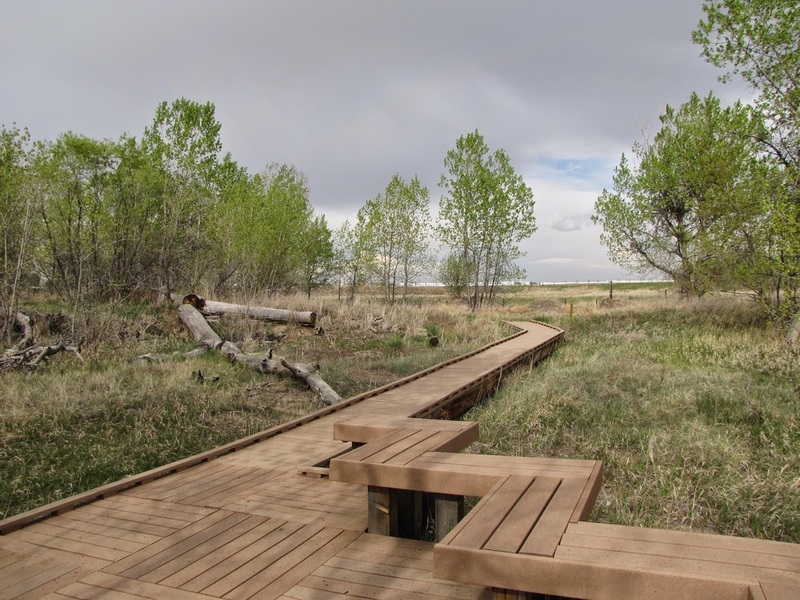 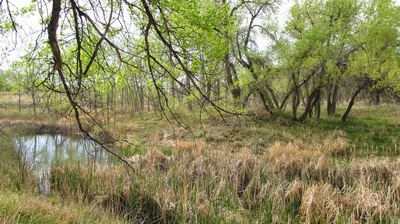 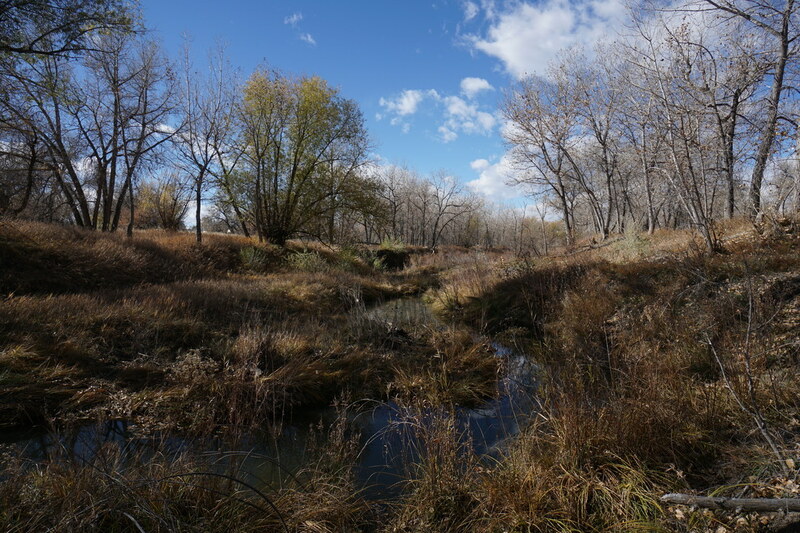 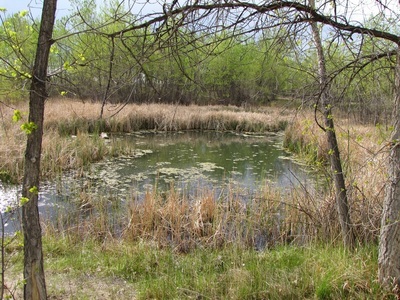 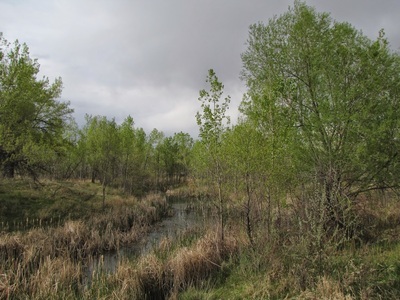 The wetlands area is wonderful as the trail weaves through large cottonwood trees (brilliant in the fall) and around wetlands and ponds. There is a wood wildlife viewing platform in the middle of the loop. 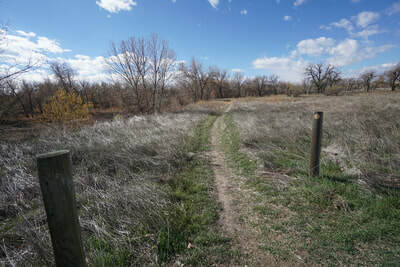 At the southern end of the loop, you see a gate and a picnic area as the trail links up with the Sand Creek Greenway (SCG). 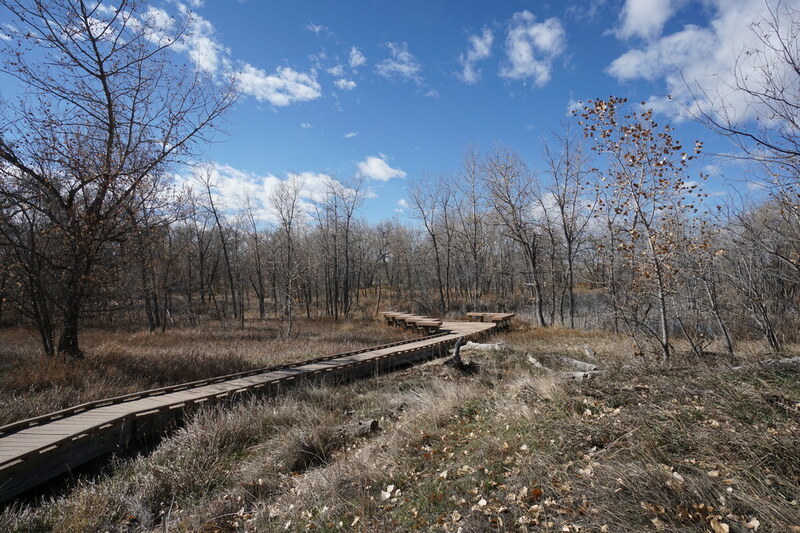 Leave the wetlands loop (you'll finish it later) and head east on the SCG. 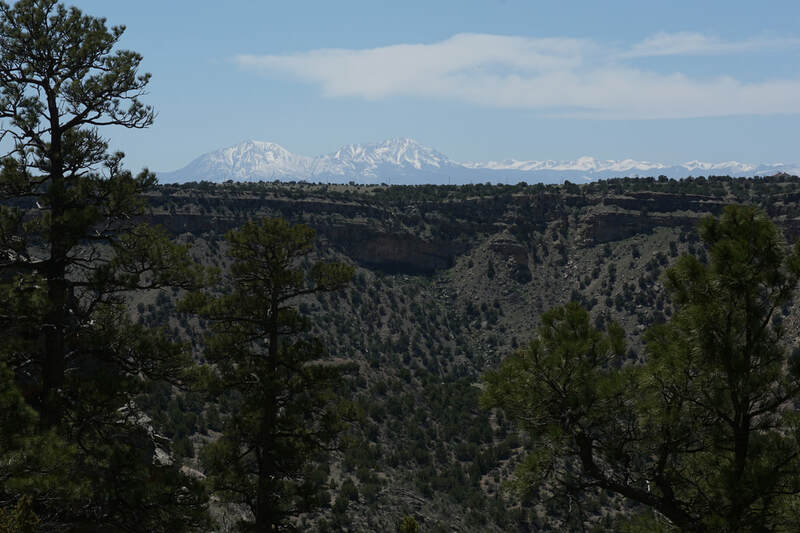 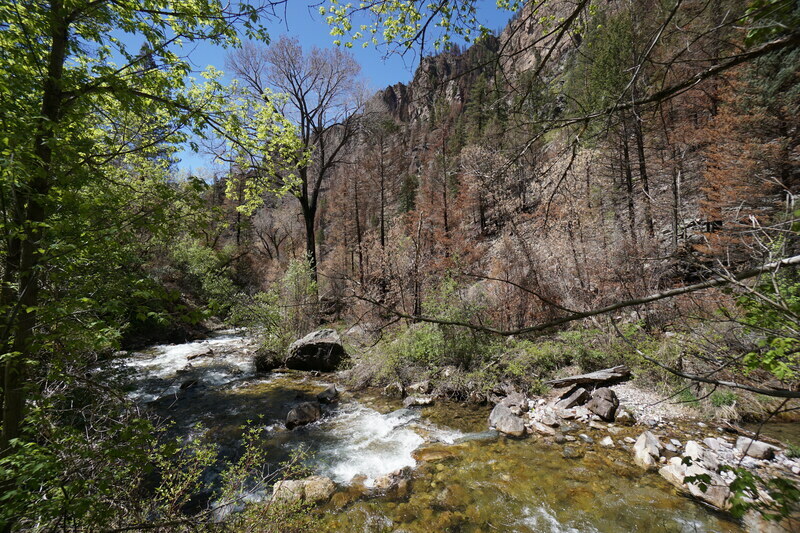 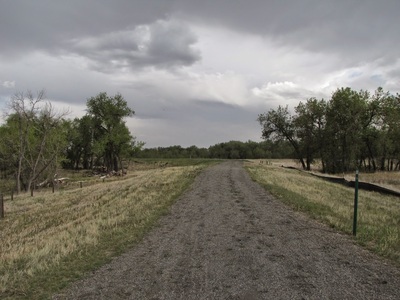 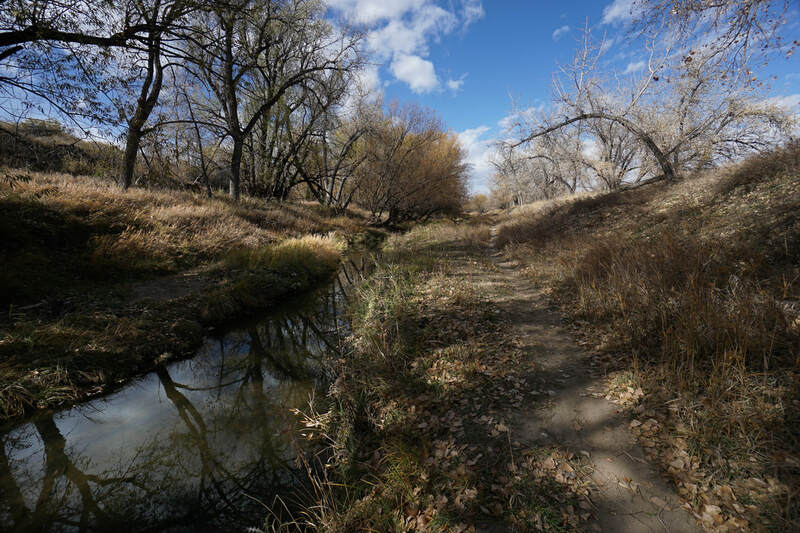 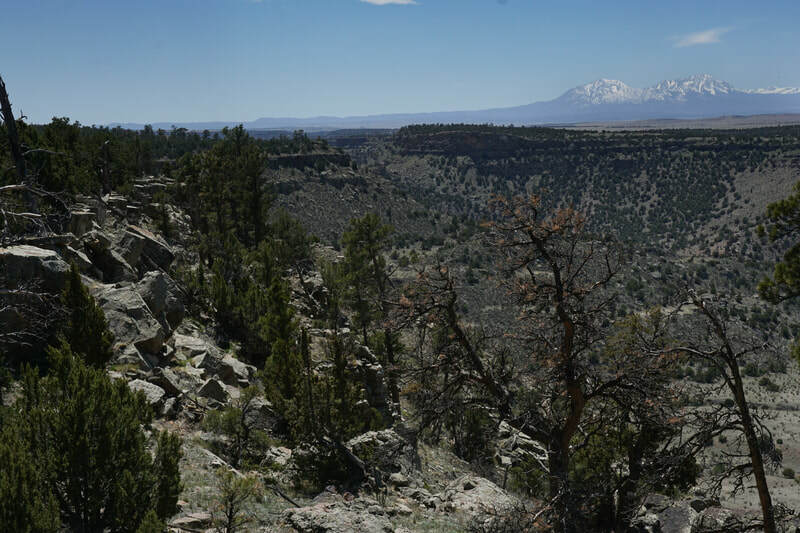 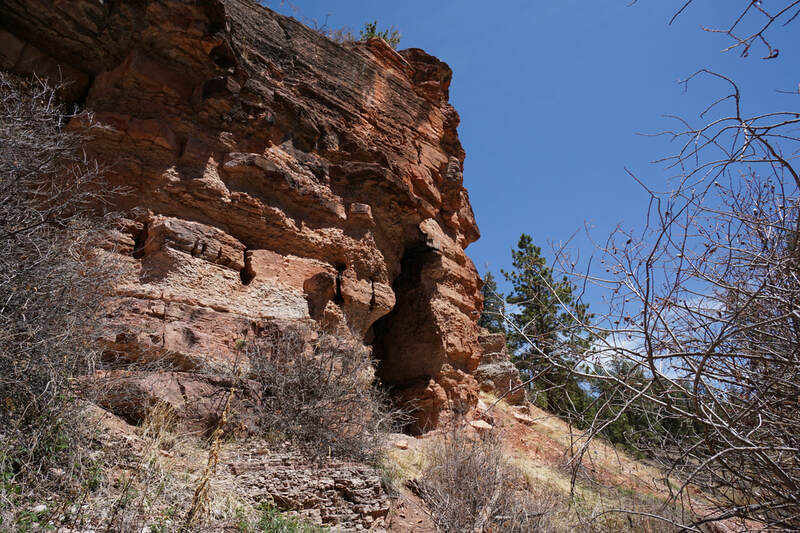 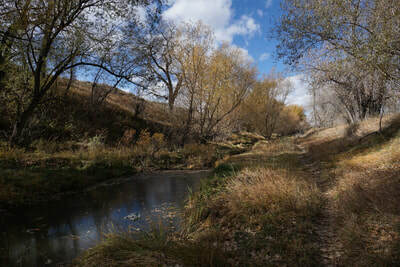 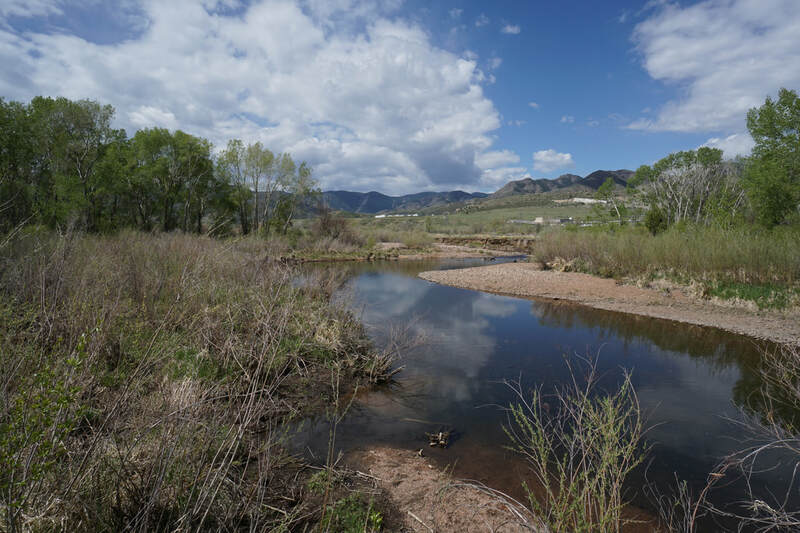 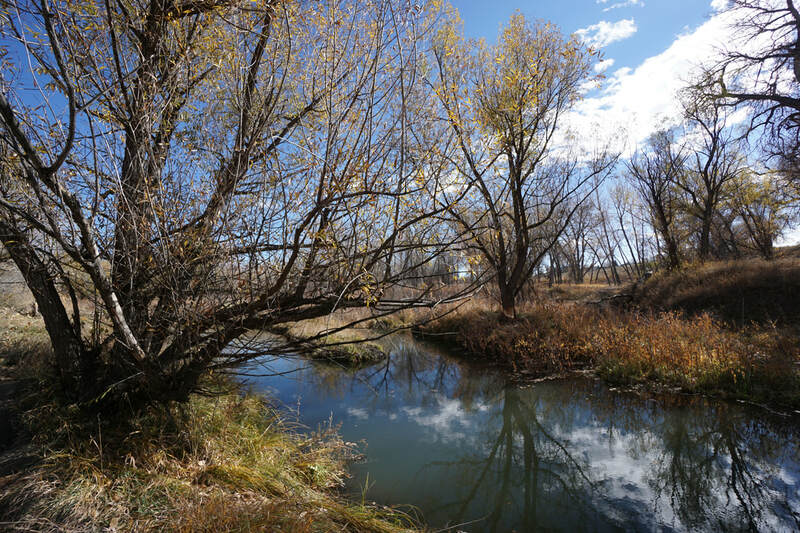 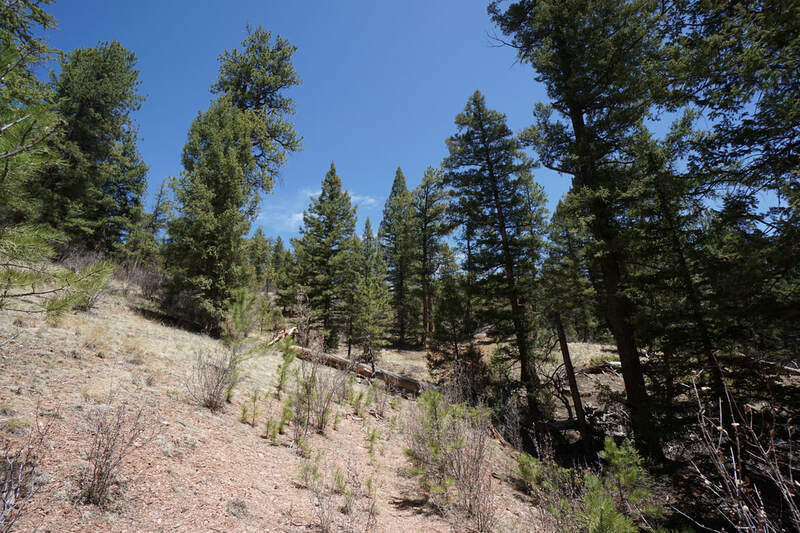 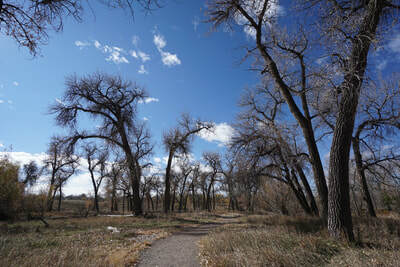 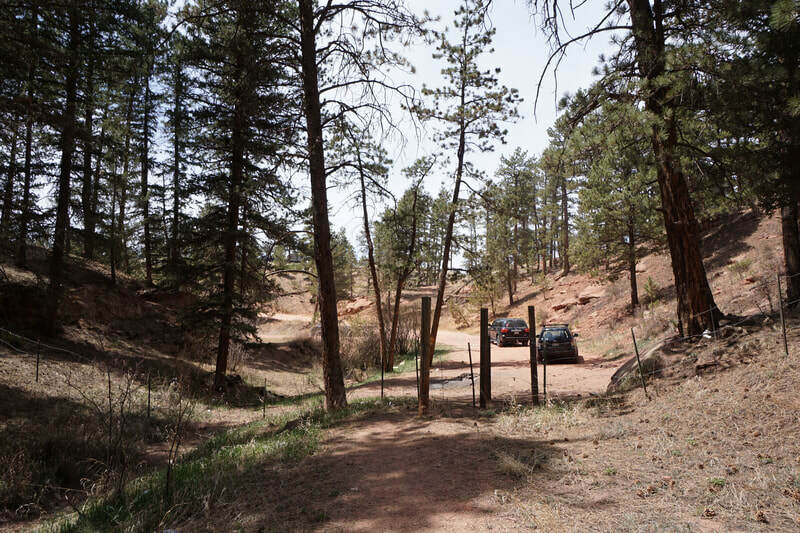 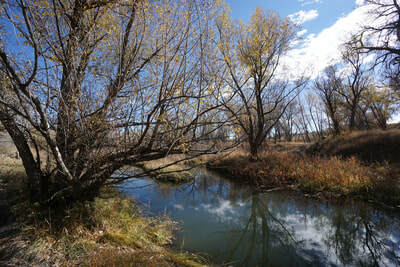 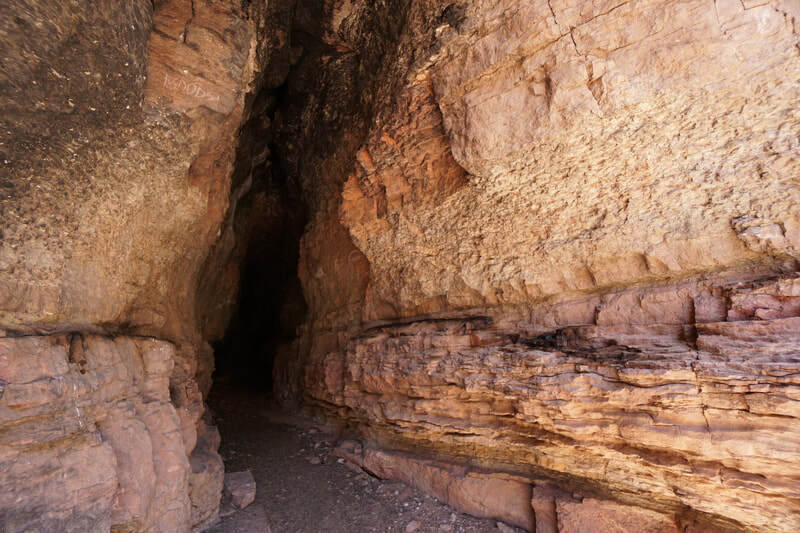 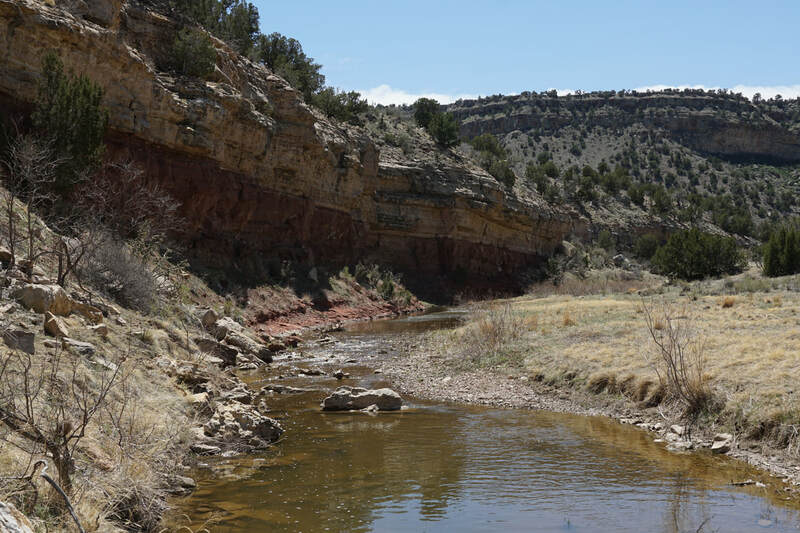 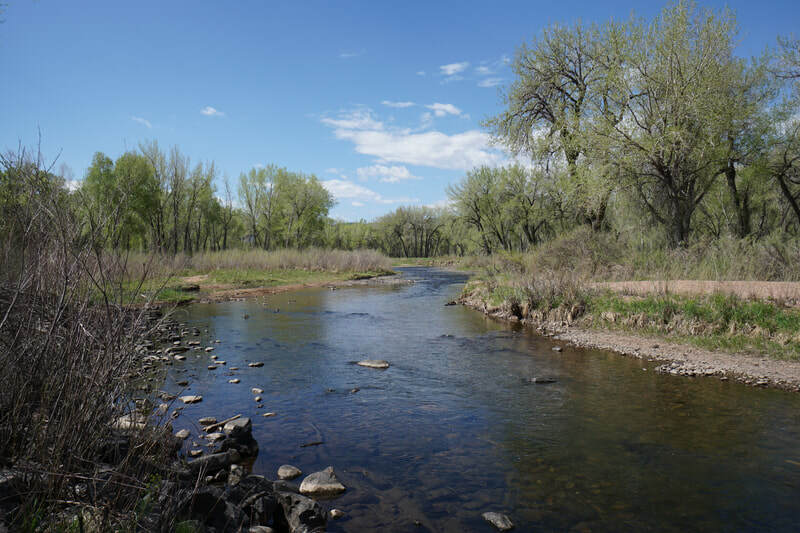 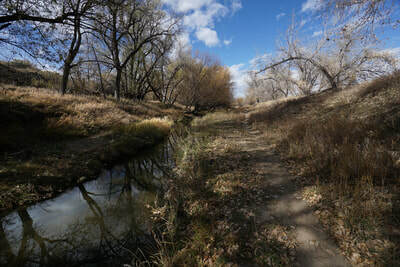 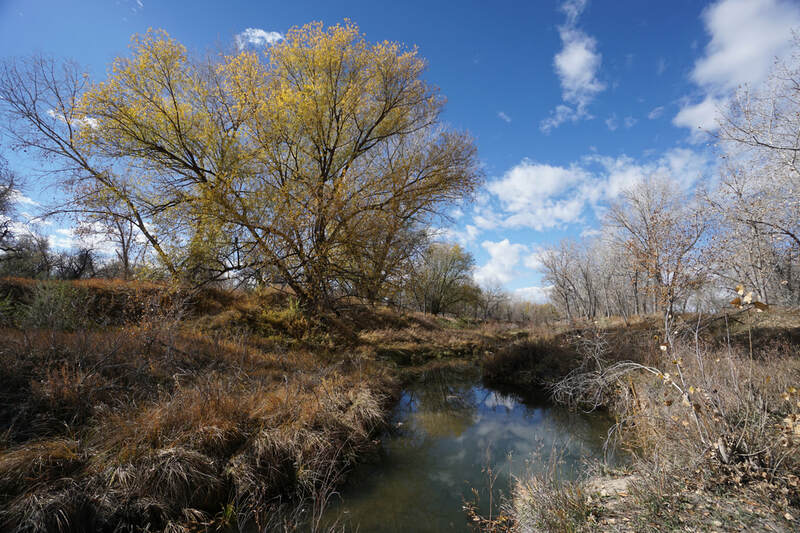 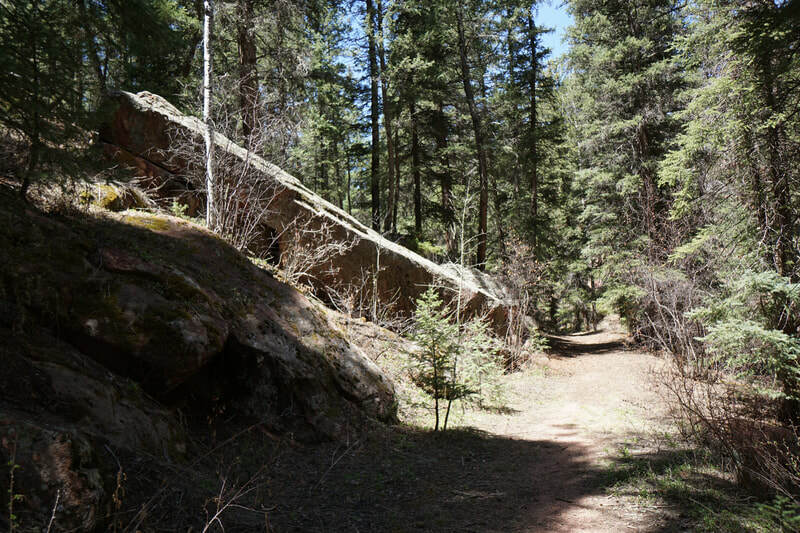 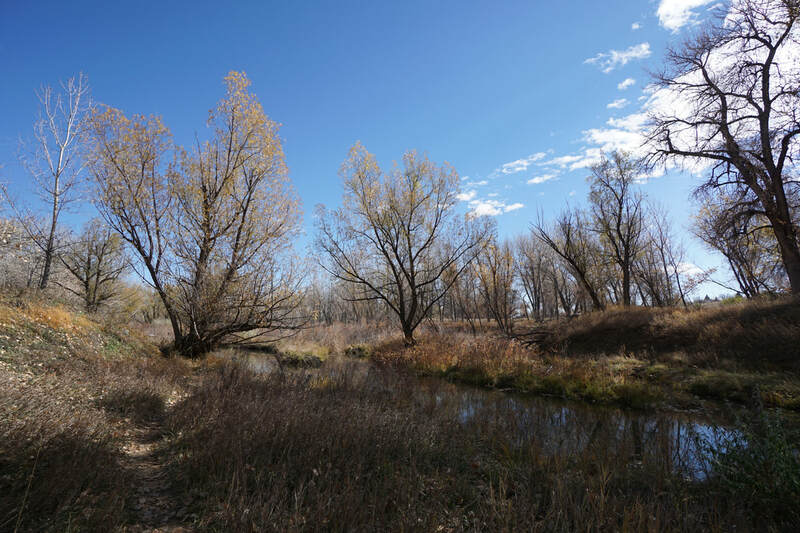 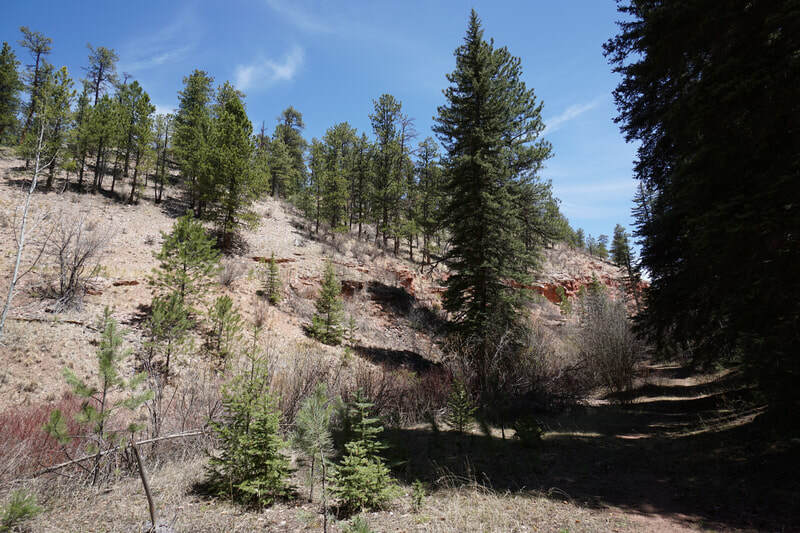 This wide multi-use trail follows the rim of the Sand Creek riverbed and accesses the other trails in the park. For the loop, follow the SCG all the way to Airport Blvd. 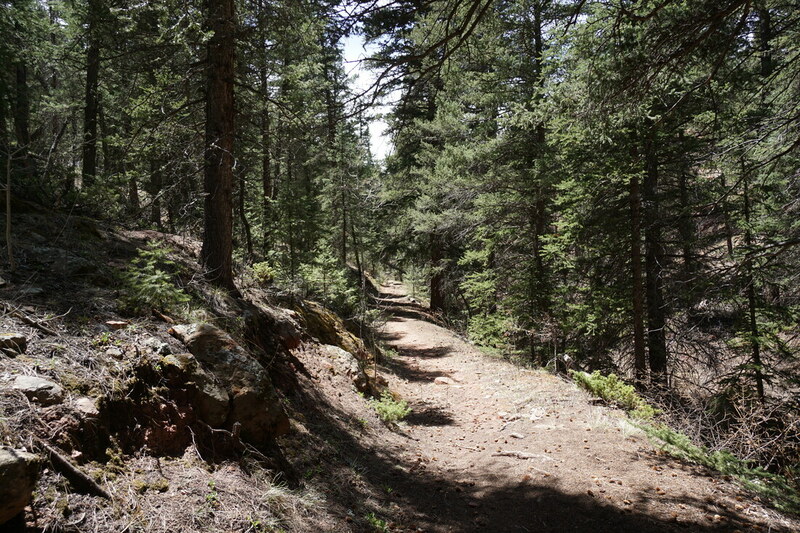 Just before the underpass, turn back west on a soft surface trail. 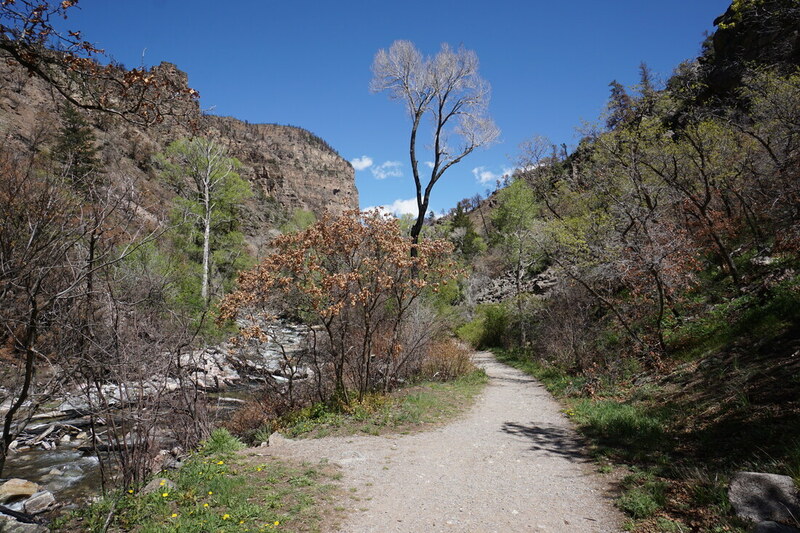 There are many sandy social trails branching off from this segment but parallel the SCG until the trail runs into a low water crossing that will general be impassible. Rejoin the SCG and follow it west for a few minutes. 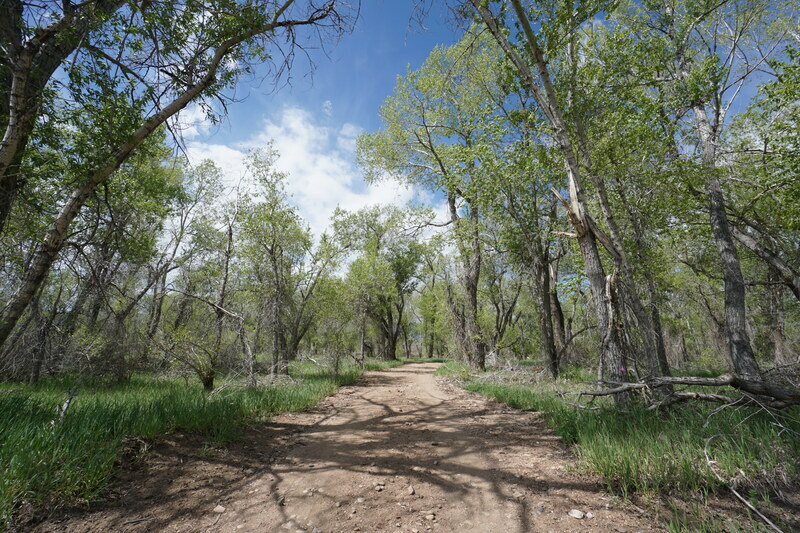 Before long another dirt single track trail will branch off to the south of the SCG, this is the creekside trail. 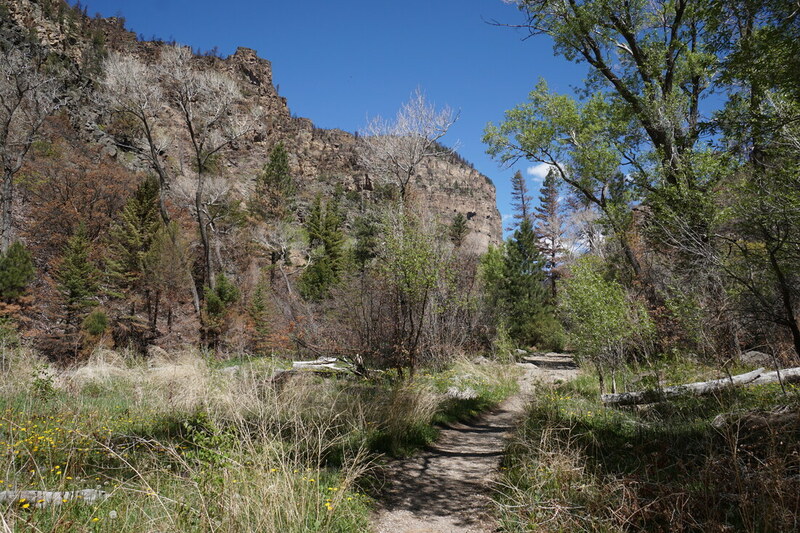 In my opinion this is the most scenic trail in the park. 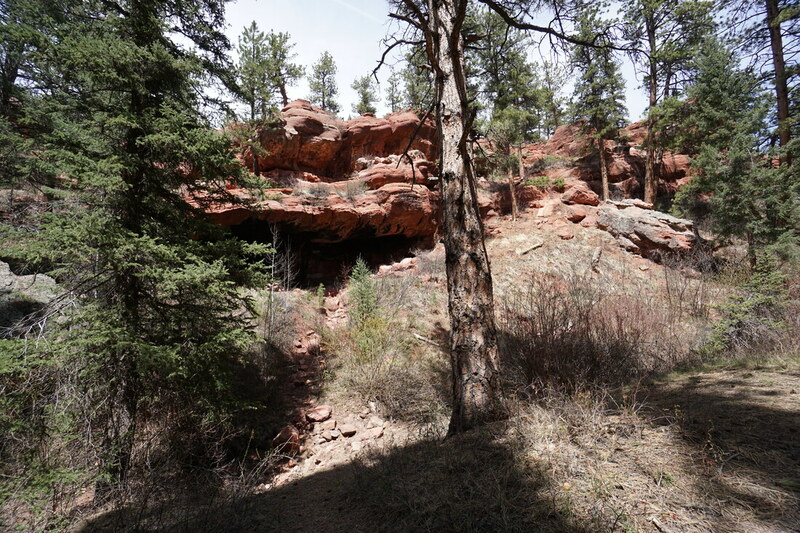 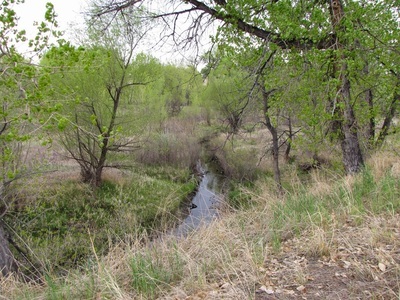 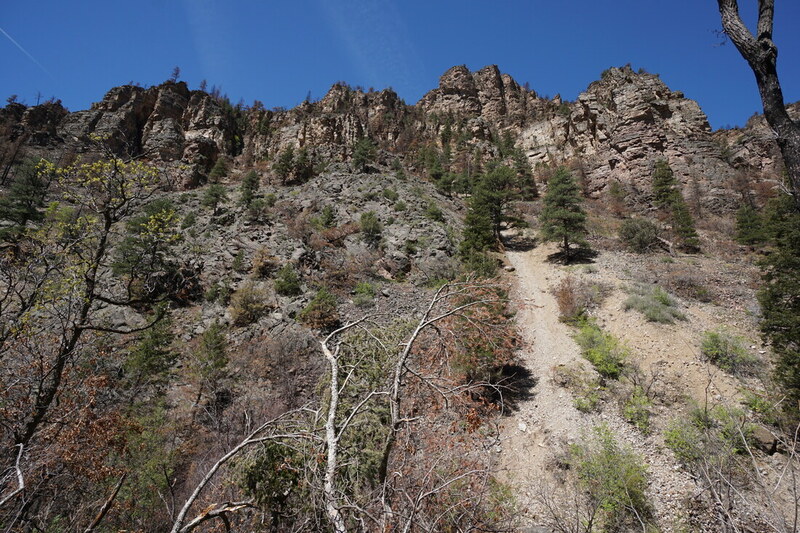 The narrow trail follows Sand Creek all the way back to the western edge of Star K Ranch. 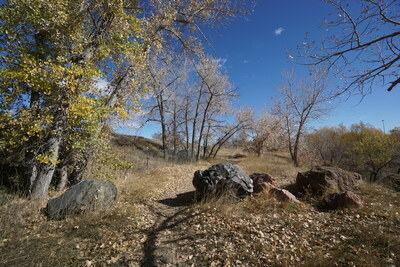 The trail is beautiful in the fall, peaking around the end of October. 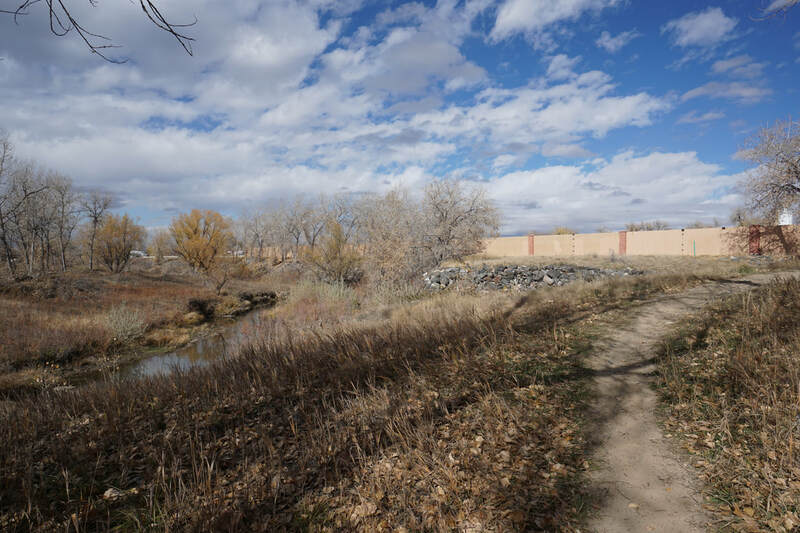 When you reach the paved trail that leads to the Highline Canal, stay to the right (north) and just before you would re-join the SCG, take the dirt single track heading west and back to the river bed. From this point, ignore all trails leading back to the SCG until you see the retaining wall of the industrial mill. At this point the Creekside Trail rejoins the SCG. 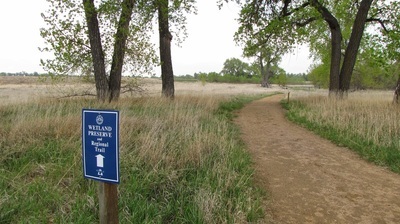 Follow the SCG east back to the Picnic Area and the Wetlands Loop. Finish the loop by turning left to the north and back to the parking area and nature center. This segment of the Sand Creek Greenway and the wildlife preserve trails are very scenic and well worth a visit. Just a little peace, quiet, and nature in the Denver Metro Area.